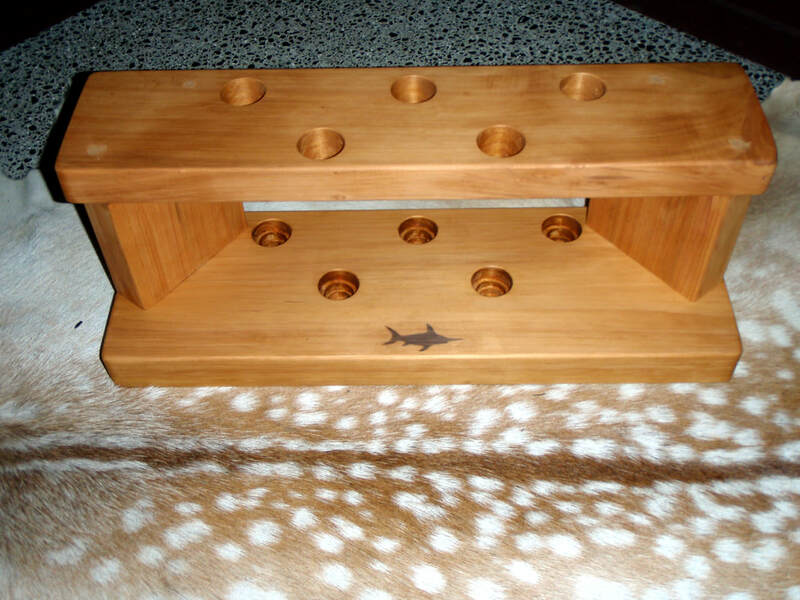 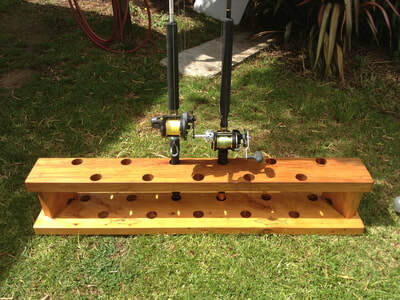 Compact racks have two rows of storage holes to reduce the length of the rack. 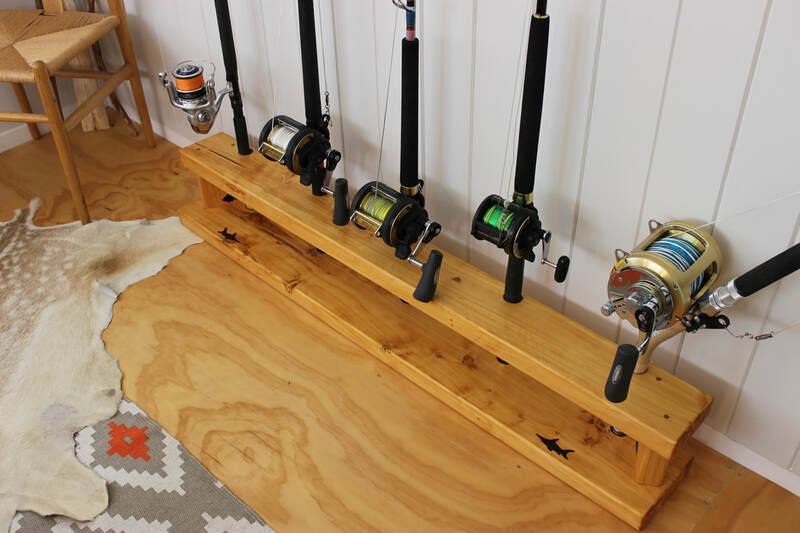 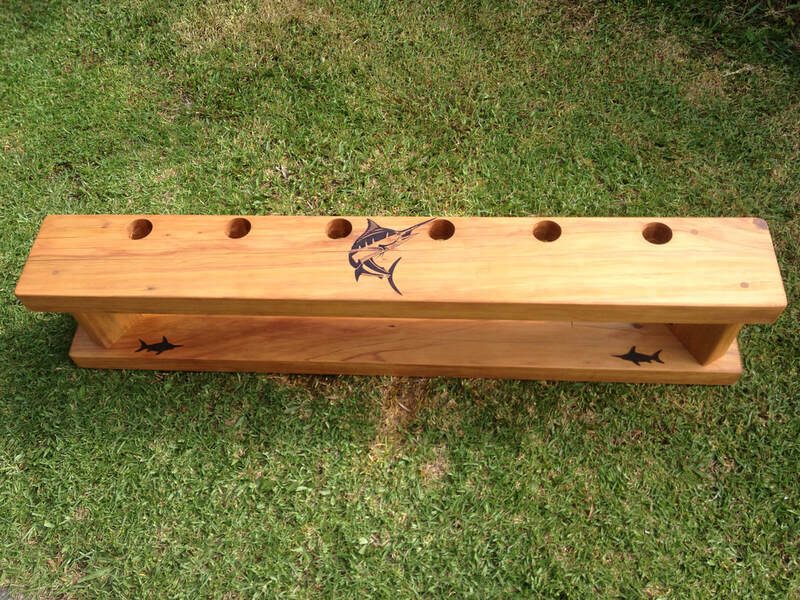 Larger and smaller sized racks are also available on request and we can combine big game and light tackle rods & reels into one rack if you have a smaller amount of both. Courier charges vary and range from $27-$42 within the North Island and from $37-$77 within the South Island of NZ. 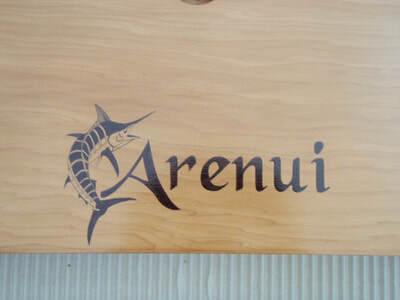 At the time of enquiry we can provide you with a firm cost for the courier. 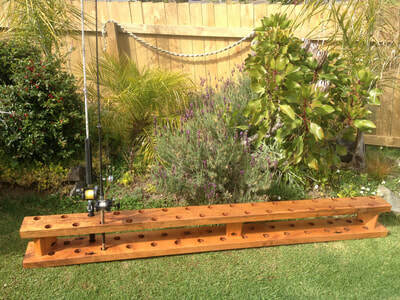 Note: ​Rod racks over 1.6 metres cannot be couriered to rural addresses, an urban address is required. 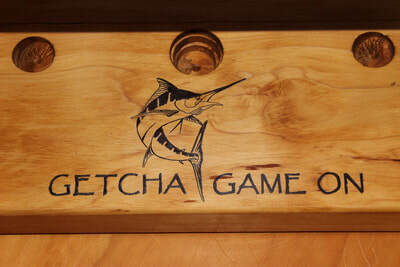 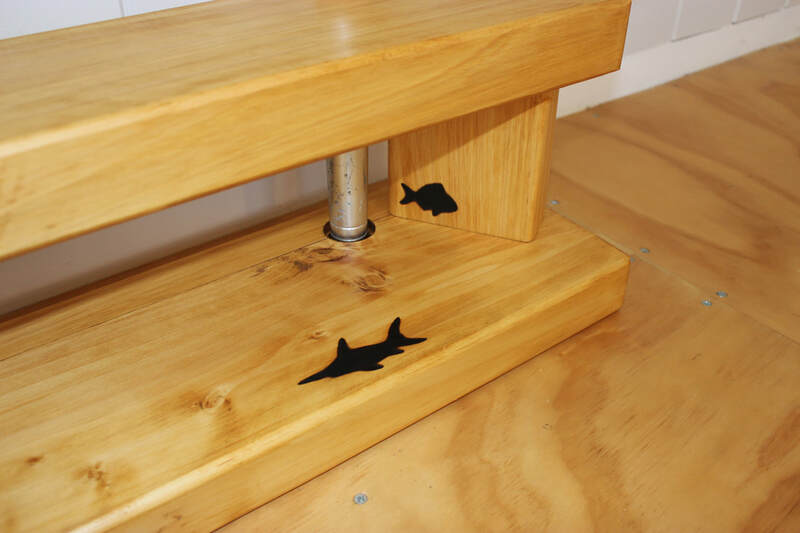 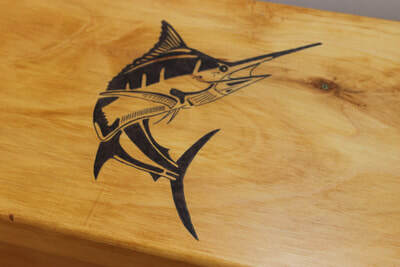 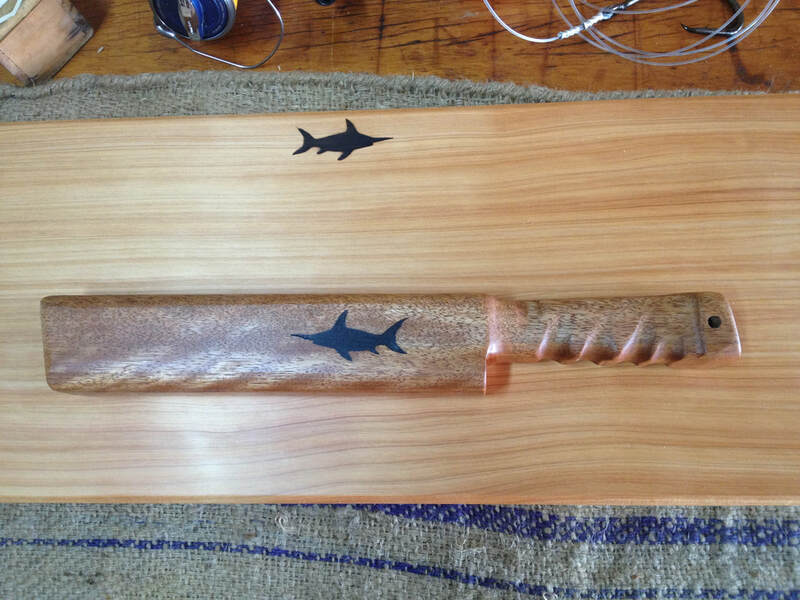 We can tattoo any of our products with your logo, boat name, trophy, competition name - or any other message you'd like. Costs depend on how intricate the design and the amount of time taken. 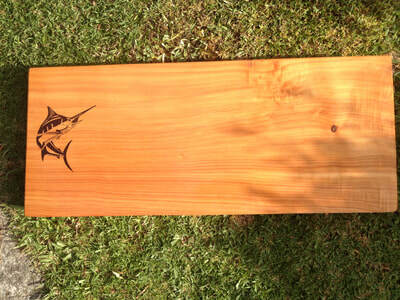 Basic timber tattooing including lettering only starts from $40. 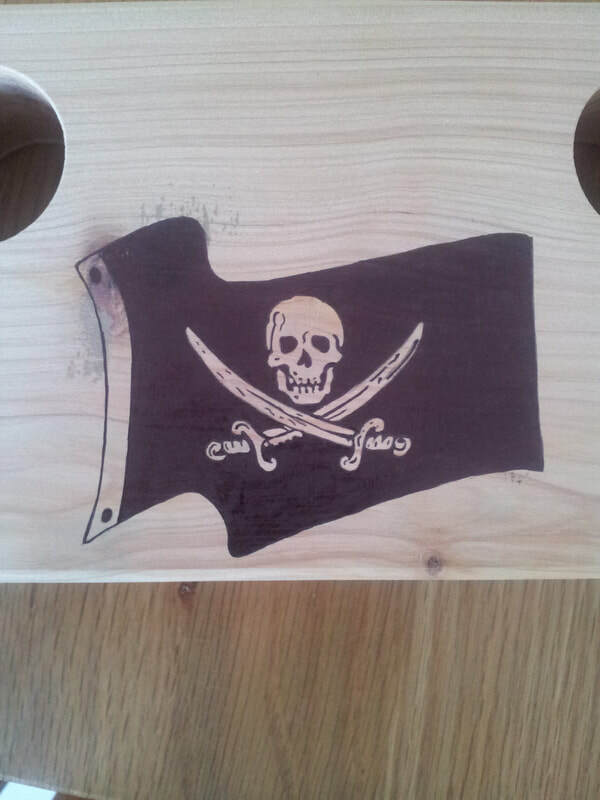 Logos etc are assessing and costed on application. Sizes are approximate. 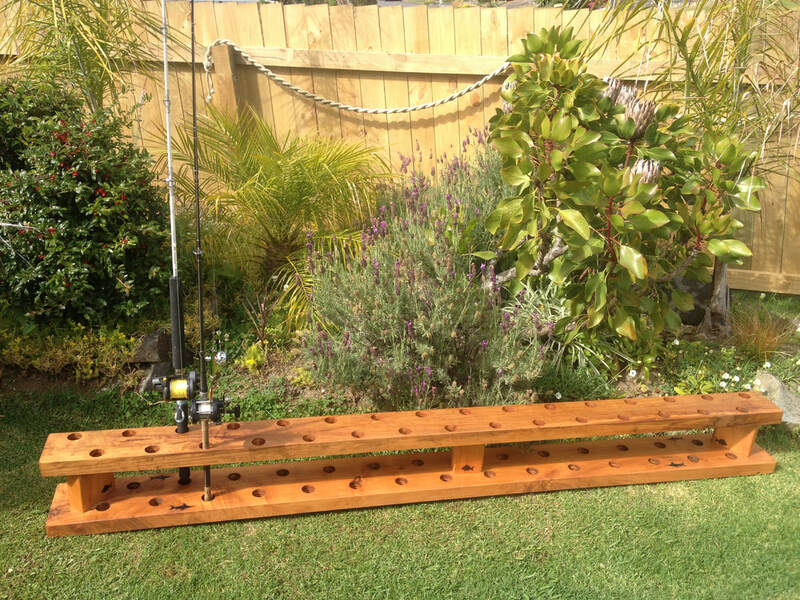 Costs include delivery NZ wide. 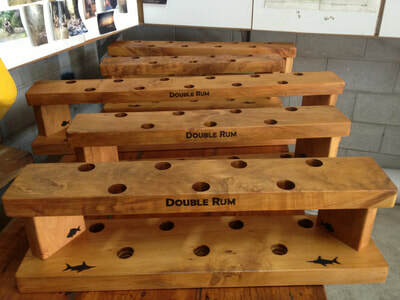 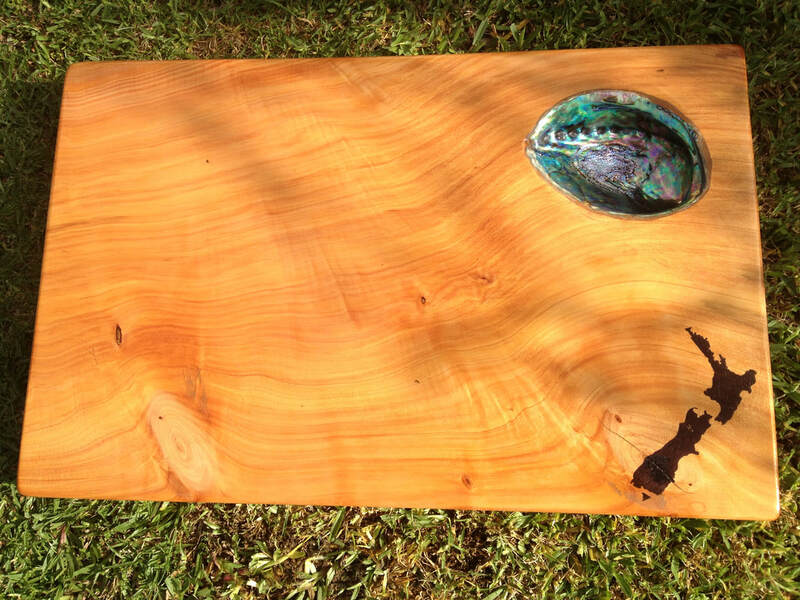 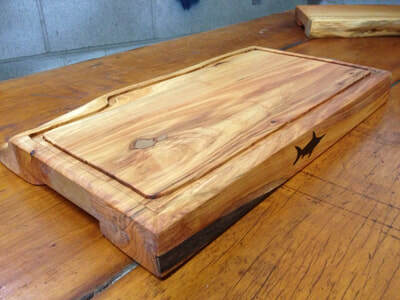 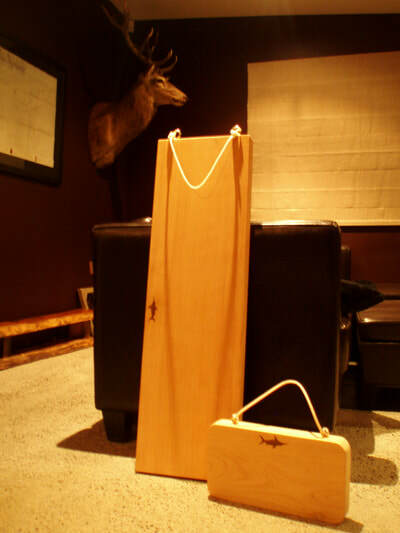 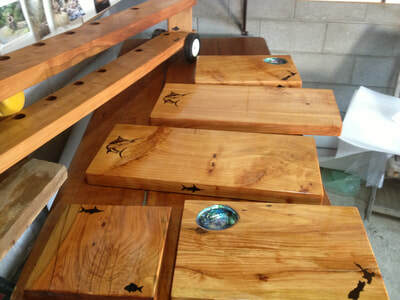 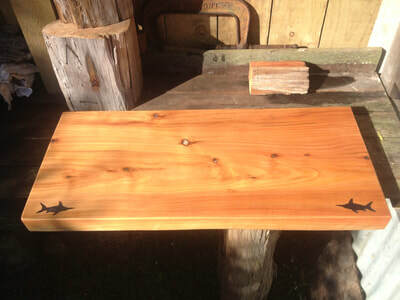 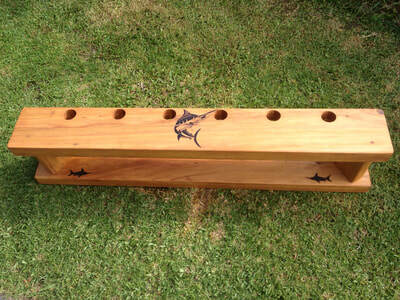 Custom serving boards made to order.